4 Volumes, 7 Issues, 7 Articles available from 2014 to 2019. 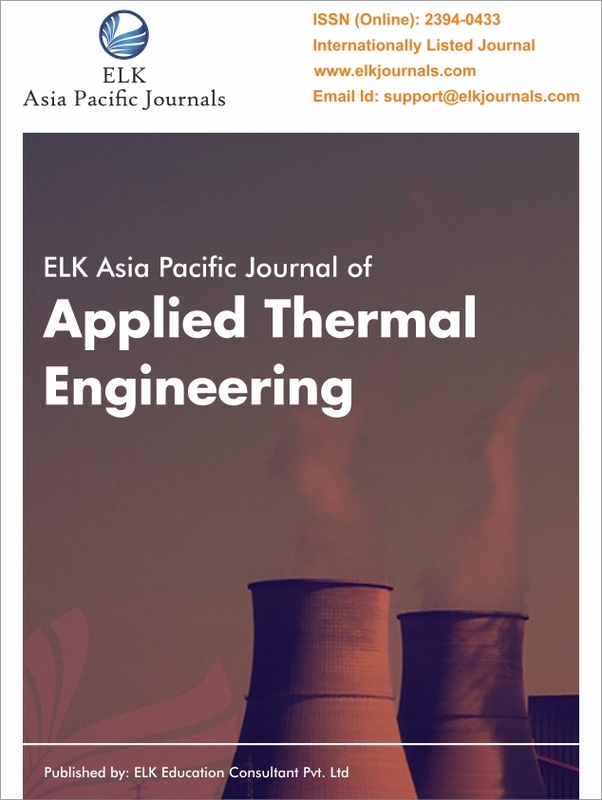 The ELK Asia Pacific Journal of Applied Thermal Engineering welcomes research articles outlining the aspects of process integration, intensification and development of thermal engineering processes along with the application of thermal equipment. The aim of this Google Scholar indexed international journal of thermal engineering is to provide papers that describes the process of optimisation techniques to maximise performance. Every article submitted to this Open Access international journal of thermal sciences goes through double-blind peer review process to ensure originality and high-quality. Thermal Engineering Procedures, application of thermal engineering, electronics thermal management and equipment used by armed forces. Papers on such challenging concepts and applications are encouraged for this international journal of applied thermal engineering. Also, inclusive are titles that are devoted to emerging developments in the field, related case studies and review articles, financial implications of equipment applications and design, pollution control and non-traditional heat sources.